The Western Australia Police Force celebrated 100 years of women in policing in 2017. To mark the occasion, a memory book was produced containing information about the first female police officers and the 100 year journey for women in the WA Police Force. Note: The various information regarding women in policing on this site is based on information supplied to the WA Police Force. 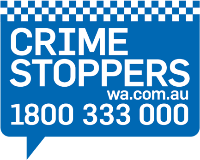 The WA Police Force does not guarantee the accuracy or completeness of the information contained on this site. In 2017, the WA Police Force celebrated 100 years of women in policing.